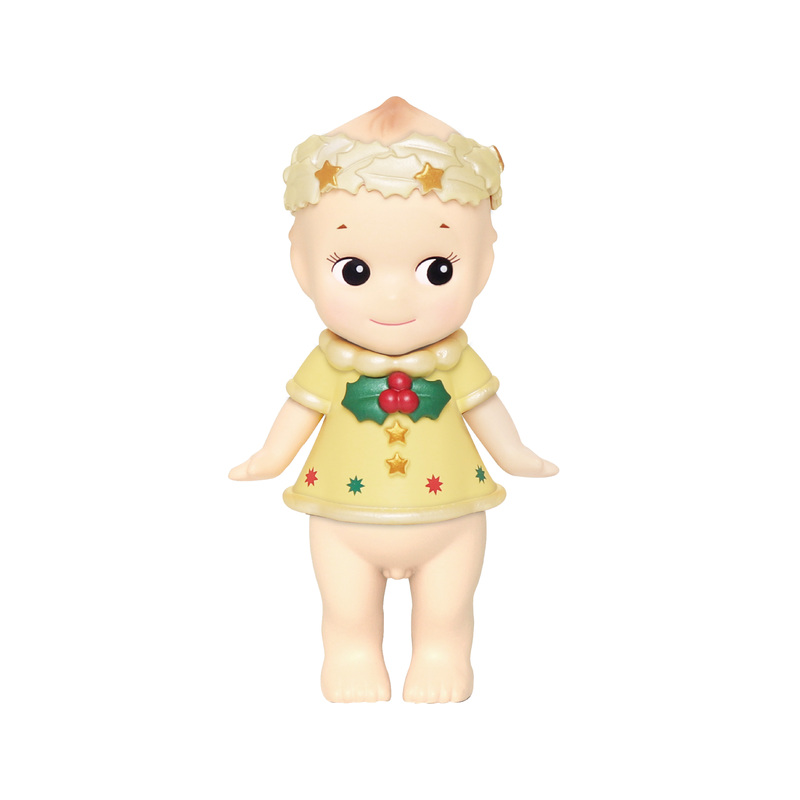 Sonny Angel is an irresistible collectible doll from Japan. 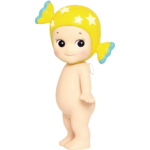 As your tiny friend, he is always by your side, to protect you, comfort you, and make you smile… that is Sonny Angel’s mission. 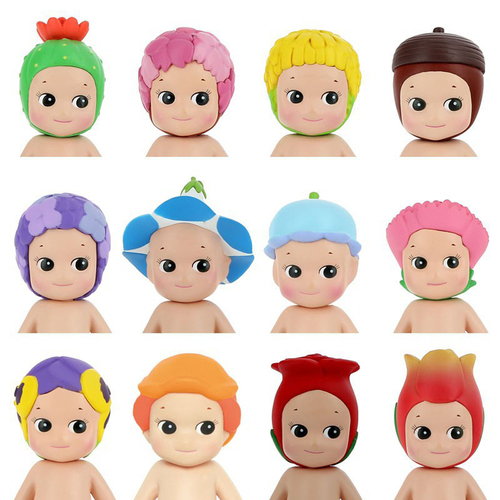 A major feature of the Sonny Angel Mini doll series is that each series consists of the 12 different headgear in “blind box packaging”. You do not know which one you will get until opening the package. You will be excited and have fun to see what is in there. 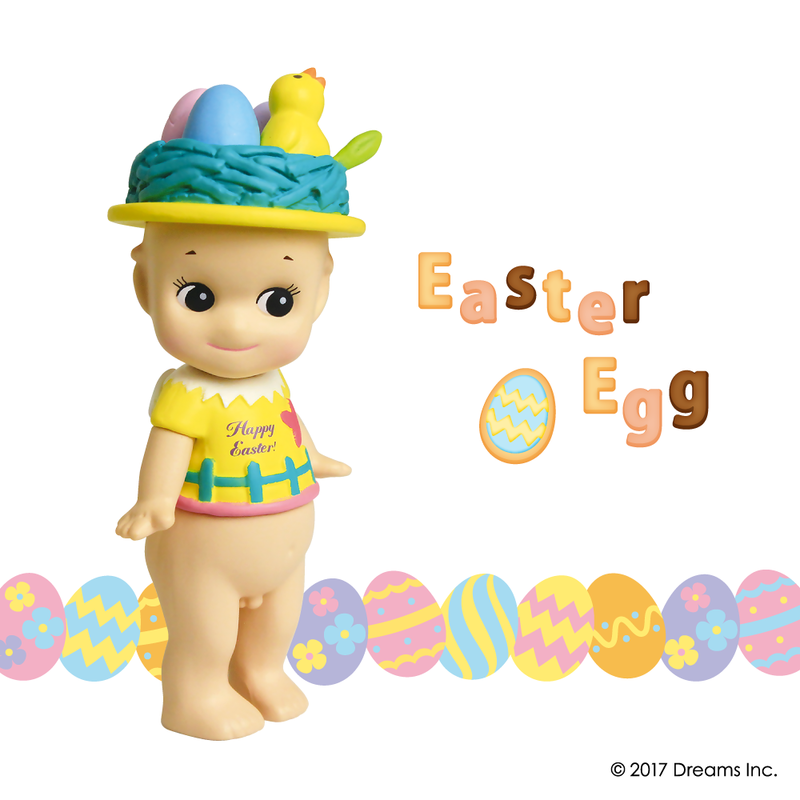 The first Sonny Angel was introduced in March 2005. 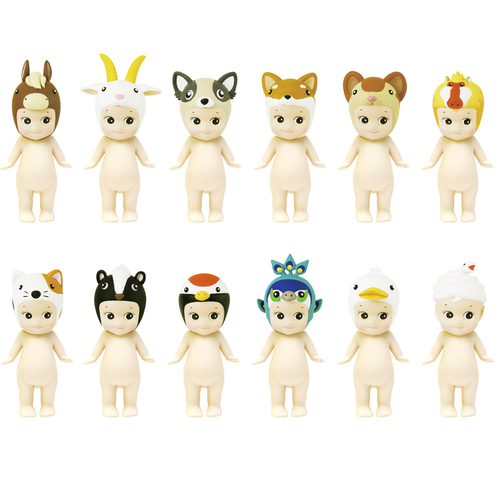 Soon after, a mini figure series was released, the “Animal Series 1” wearing animal headgear. Sonny Angel’s birthday is May 15th, 2004. 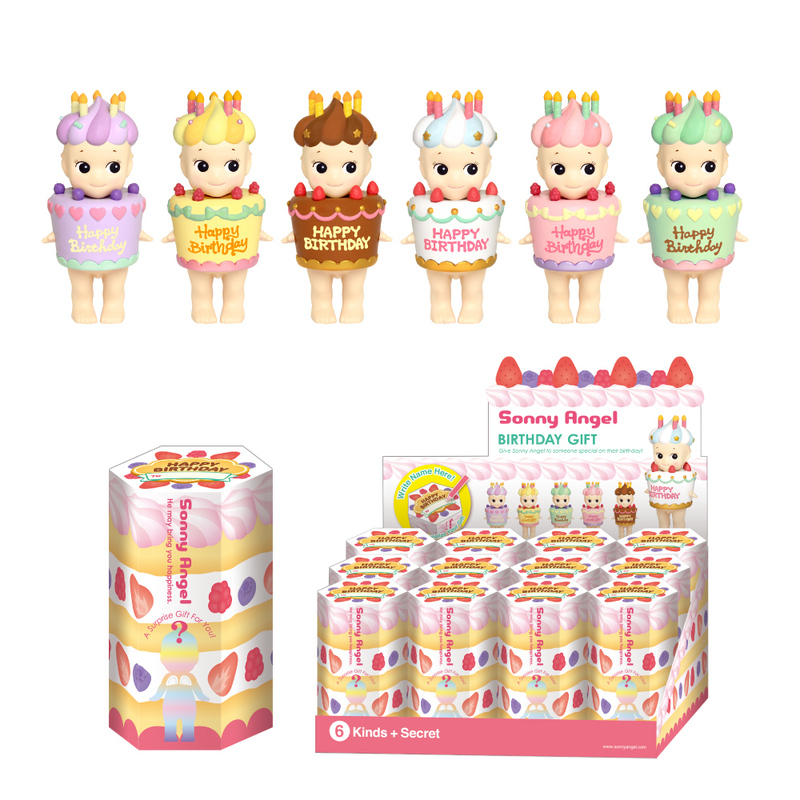 This time Sonny Angel come dressed in adorable birthday cakes! 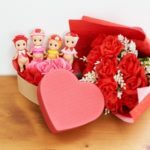 Decorated in motifs such as heart shapes and ribbons made them so gorgeous and adorable. 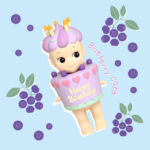 The new package with a space to write your own message as a gift. 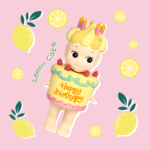 These Sonny Angels are perfect as a birthday gift, or to add to your own collection! 1 piece. 6 kinds. Blind Boxed. 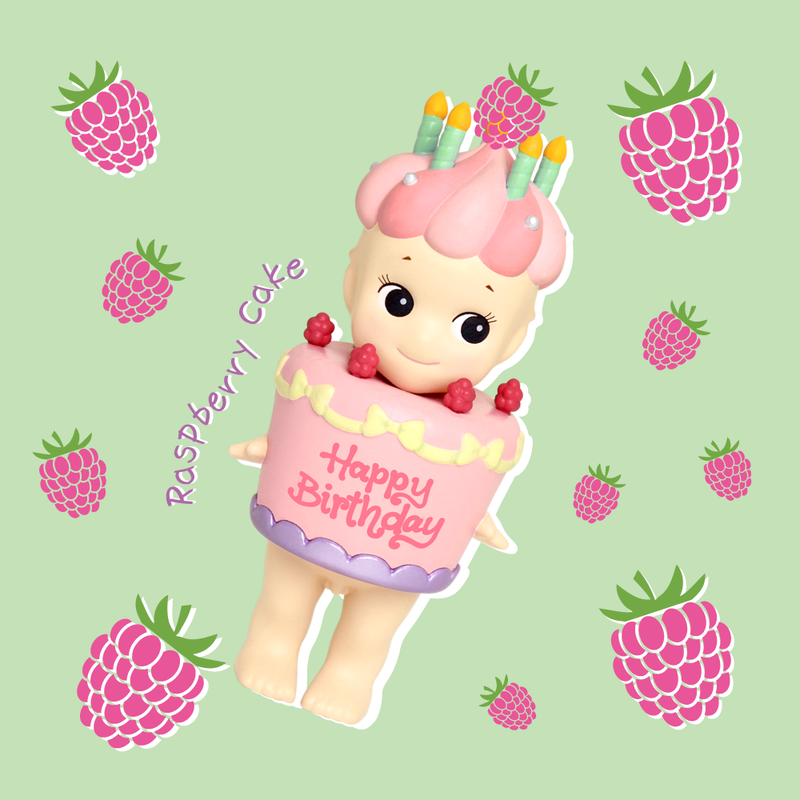 Plus secret figures and Robby Angel to look out for. Please note secret figures appear randomly. 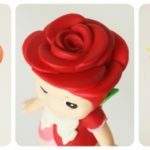 All figures are randomly packaged in blind boxes. 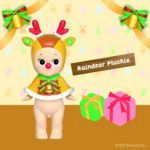 Which means, you won't know which figure you'll get until you open the box! 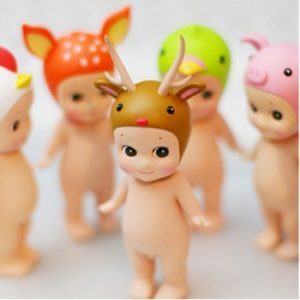 Total of 12 different figures + 1 Secret figure. 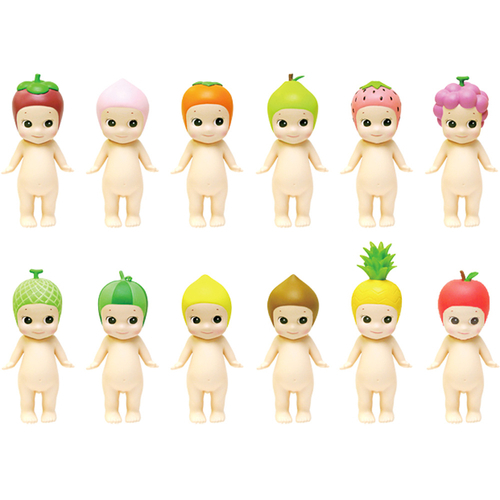 One assort box contains all 12 figures of series. Chance of getting the secret figure is 1/144. 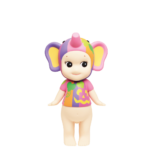 All figures are randomly packaged in blind boxes. Total of 12 different figures + 1 Secret figure. 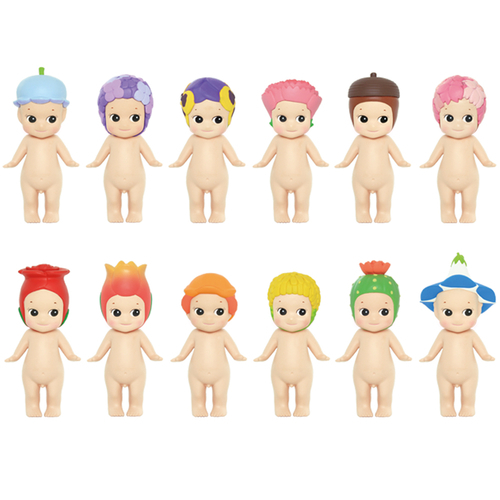 One assort box contains all 12 figures of series. Chance of getting the secret figure is 1/144. Christmas series this year was inspired from Christmas cards and antique picture books. 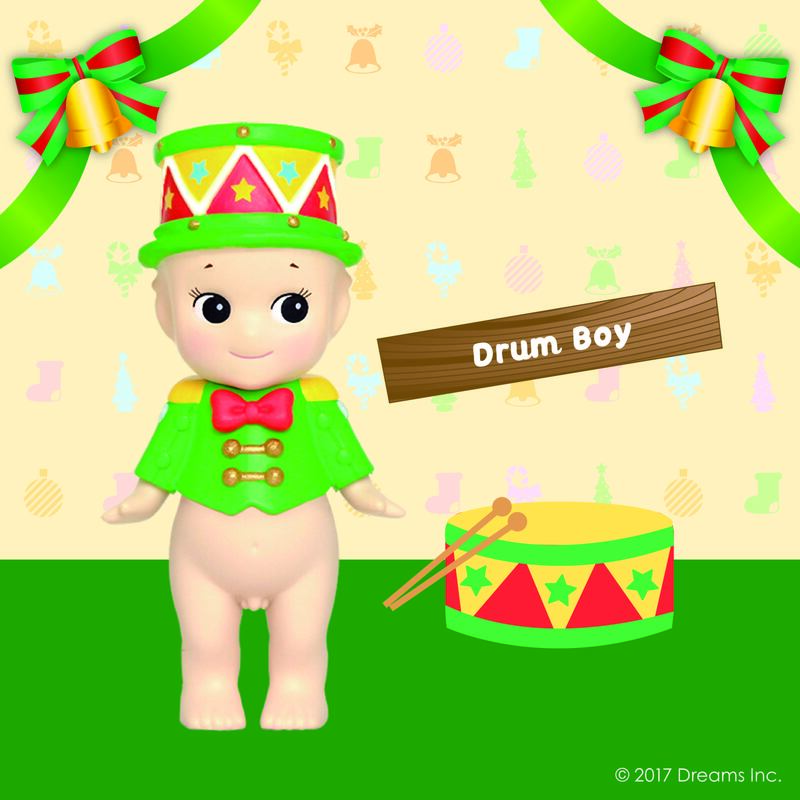 Classical Christmas style colorings make Sonny Angel like an angel whom appeared on Christmas night. 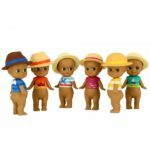 Total lineup of 4 different figures + Secret figures. 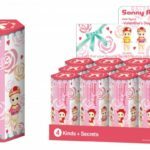 The secret figures are distributed randomly and may not always be included in one assort box. 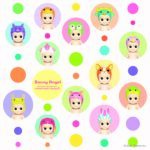 Summer vacation 2018, swimming with Sonny Angel! Figures are distributed randomly. 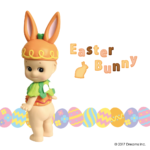 Please note that this assort box may not include all figures in the series. 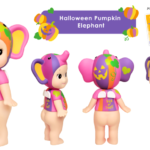 Dreamy color "Yume Kawaii" Halloween! designed fully with pastel colors. include all figures in the series or a secret figure. and ready to trick or treat! Sonny Angel Animal Series 3 Special Color. 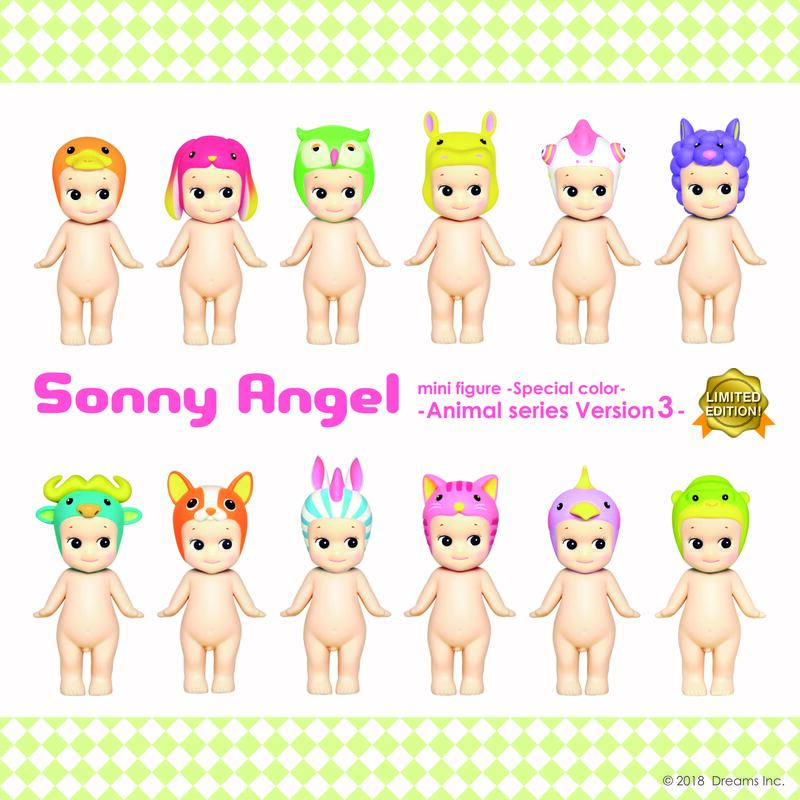 To celebrate Sonny Angel's 14th Anniversary, there was a very limited release of Sonny Angel Animal Version 3 in Special Colors! 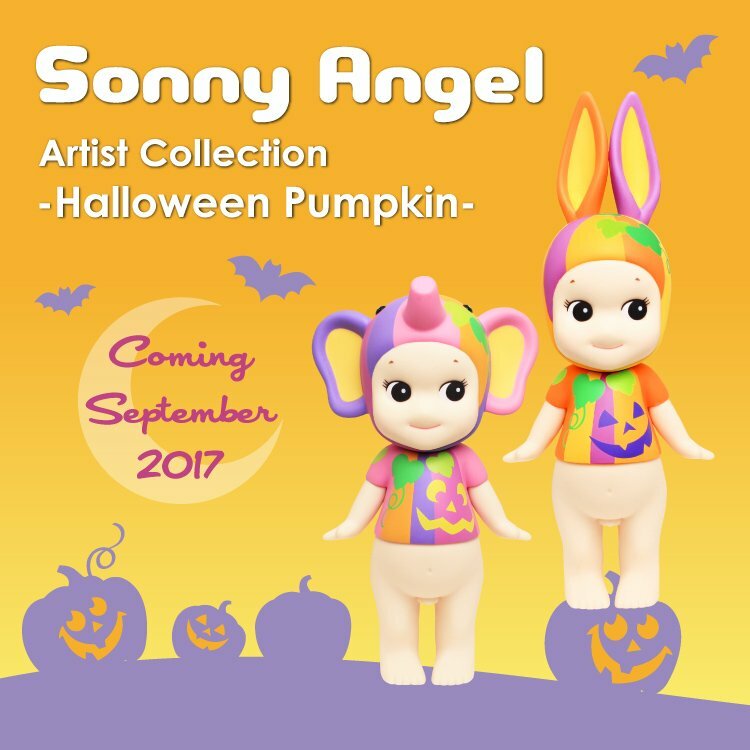 Each Sonny Angel is the same style that you know and love from Animal Series 3 with new, bright, crazy colors! 12 pieces. 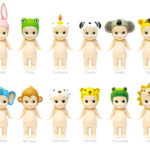 12 kinds. Blind Boxed. 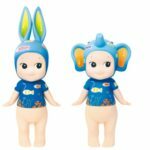 Plus secret figures and Robby Angel to look out for! 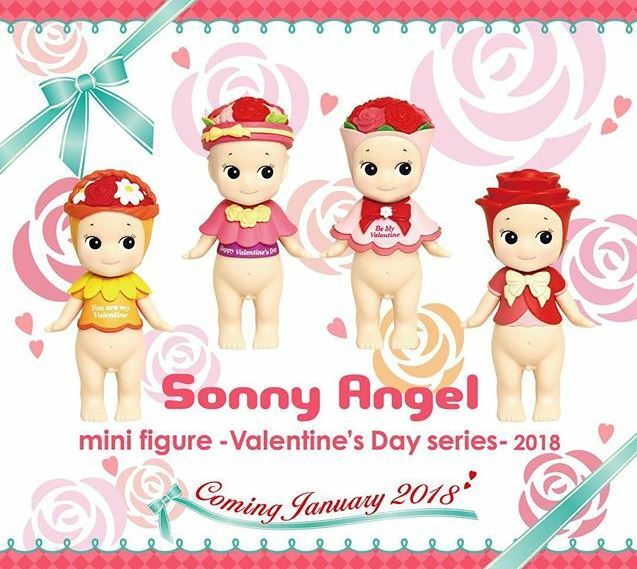 Sonny Angel Valentine's Day Series 2018! 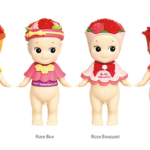 This year Sonny Angel's concept is "Flower Valentine". 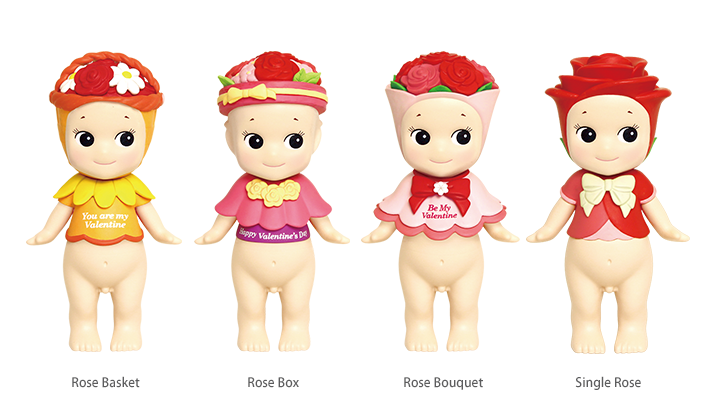 Each are wrapped as a adorable rose gift for Valentine's Day. 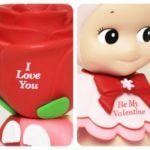 Messages of love with Valentine's Day are printed on each. 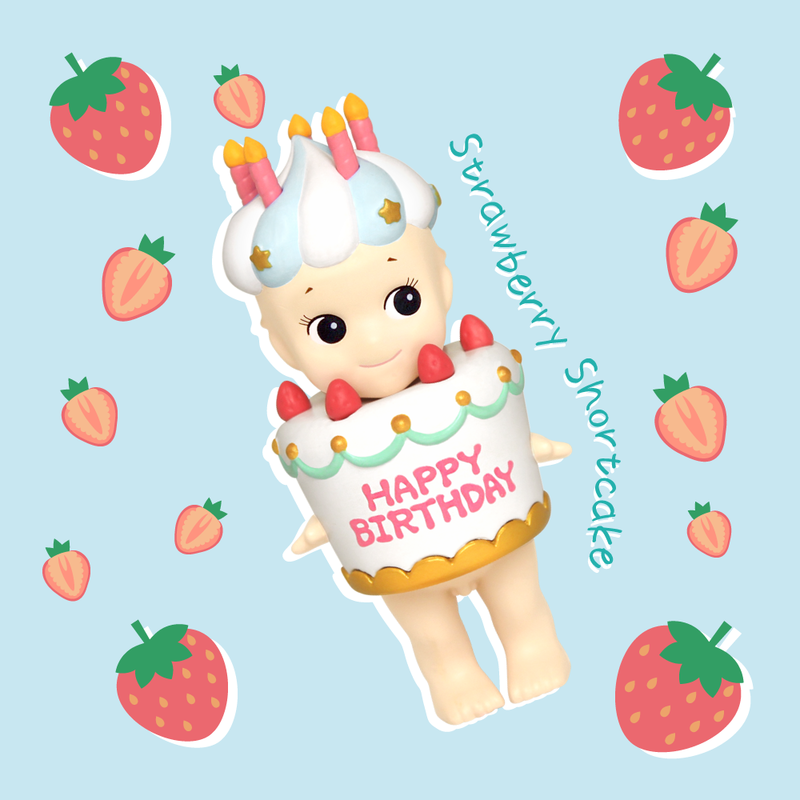 Give one to your loved one, friends and family… or even to yourself as a special Valentine’s Day treat! 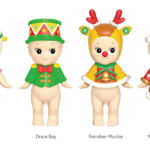 Total lineup of 4 different figures + Secret figures. 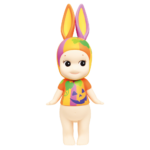 The secret figures are distributed randomly. All figures are packaged in blind boxes. 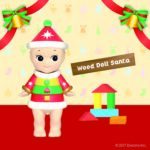 This year Sonny Angels are dressed as wooden & tin toys! In addition to Santa Claus, there is a reindeer with antlers, a tin soldier, and a wooden horse with a cute tail! All are invited to the Sonny Angel Christmas party this year! 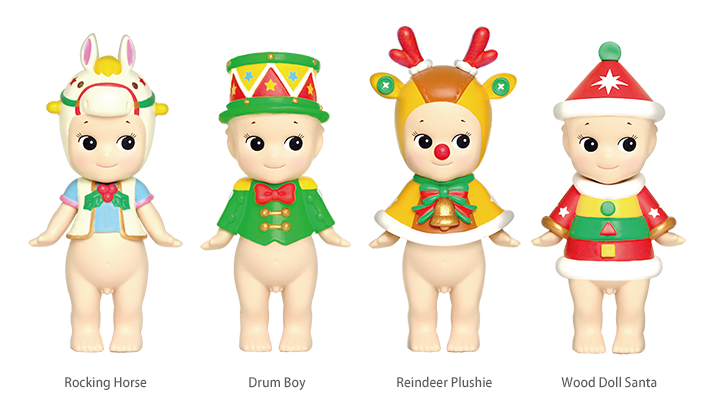 These unique Sonny Angels make the perfect stocking stuffers. 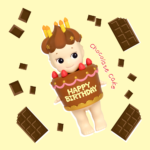 1 piece. 4 kinds. Blind Boxed. Plus secret figures and Robby Angel to look out for! Please note secret figures appear randomly. 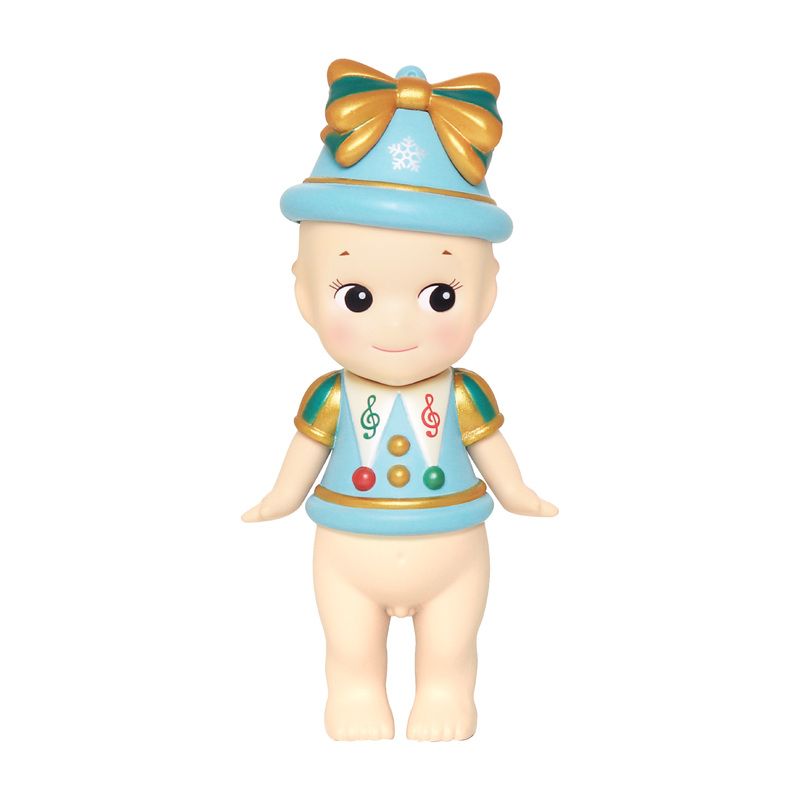 This time, Sonny Angel come dressed in outfits that express the different sides of the weather and sky. Although the weather is something that occurs daily, it is still special and relevant to our lives. 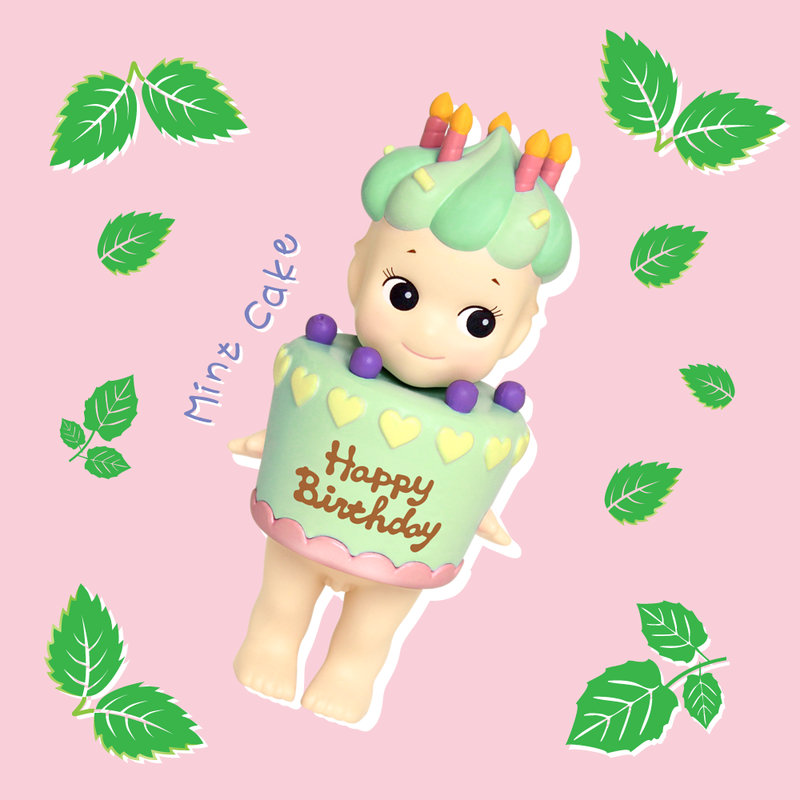 There are also secret figures to look out for! All figures are packaged in blind boxes. 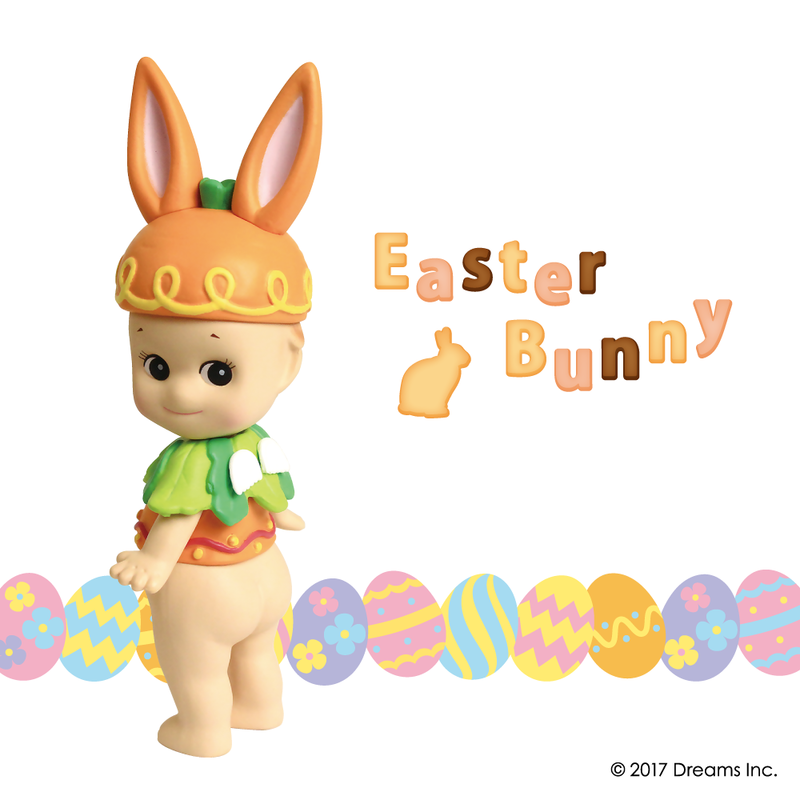 There is the Easter Bunny in a cute carrot outfit, the Easter Egg with little eggs nested on his hat. 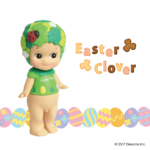 The Easter Lamb wears a crown of flowers and Easter Clover who will hopefully bring you good luck! 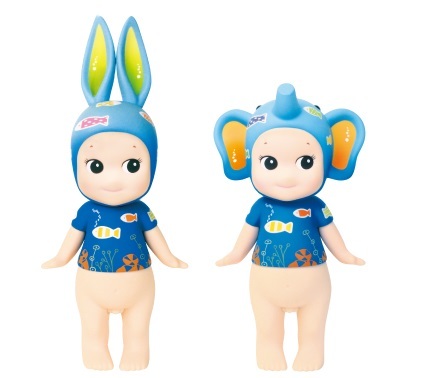 Along with these 4 adorable variations, there are also secret figures to look out for! 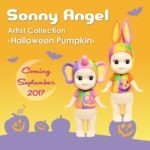 Sonny Angel Valentine's Day Series 2017! 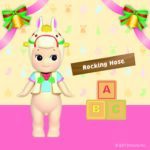 Sonny Angel come dressed as adorable soft toys this year for Valentine's! 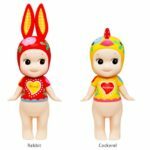 Total lineup of 4 different figures + 2 Secret figures + 1 Robby Angel Valentine 2017 Ver. 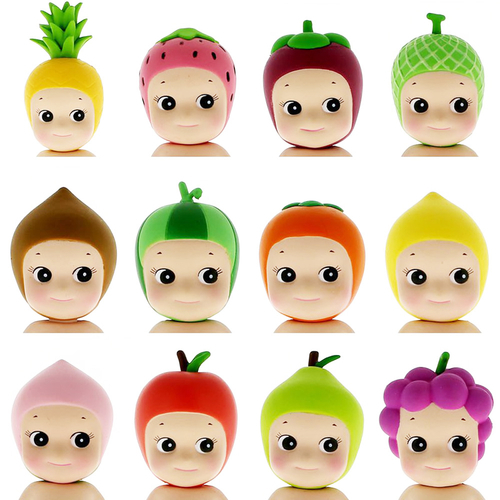 The secret figures and Robby Angel figure are distributed randomly. 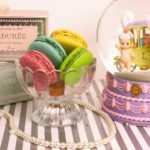 This is another gran collaboration with French luxury patisserie brand Ladurée! 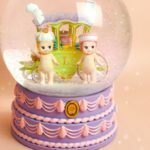 This beautiful snow globe features two little Ladurée pastry Sonny Angels, who bring you sweet macarons in their magical carriage. Shake the snow globe and watch the sparkling snow. 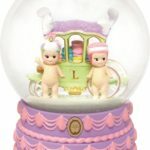 Christmas Ornament Ladurée Pâtisserie Collection! 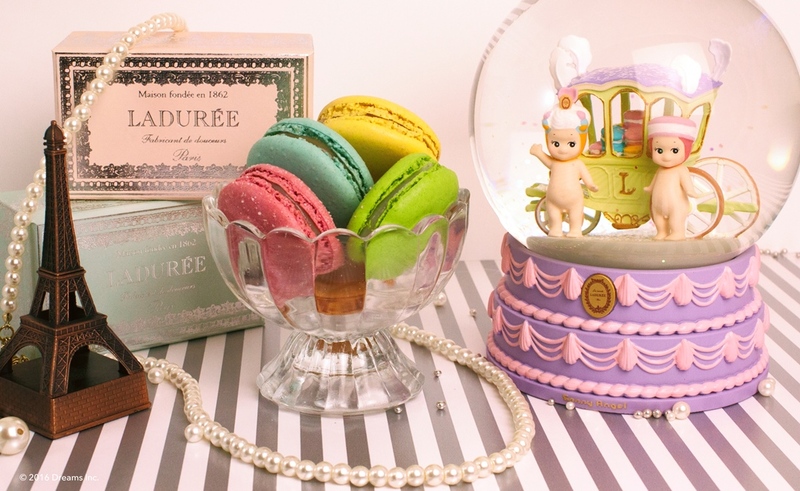 This is a collaboration between Sonny angel and the famous pâtisserie brand, Laduree! 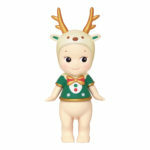 Hang them on your tree and enjoy a Sonny Angel filled Christmas time! 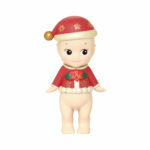 Figures can be taken in and out of the Ornament casing at any time. Total of 6 different figures + 1 Secret figure. 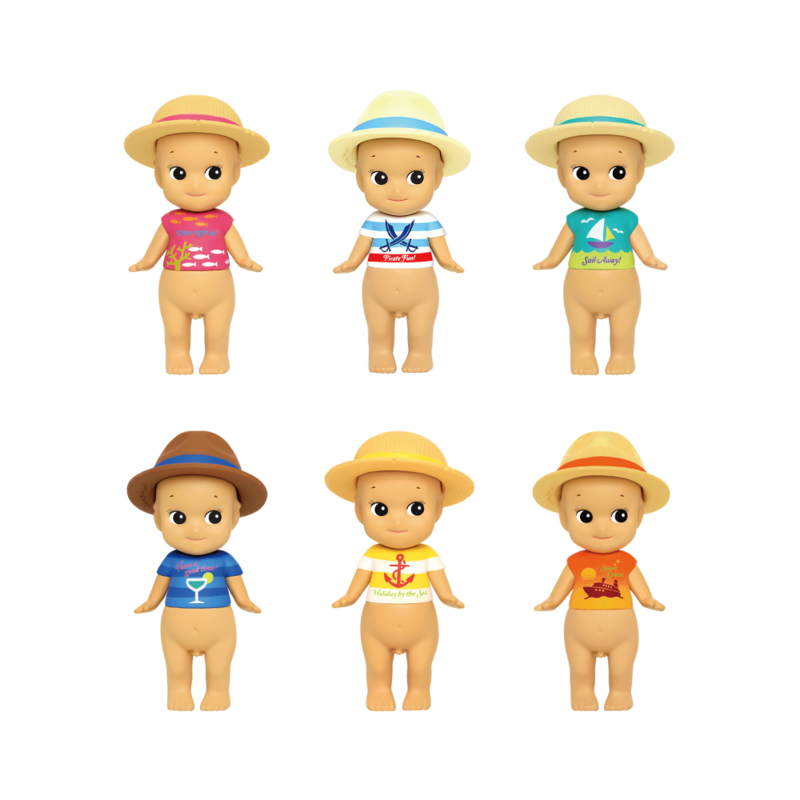 Cute and adorable tanned Sonny Angels come wearing colorful t-shirts, ready to relax by the sea. 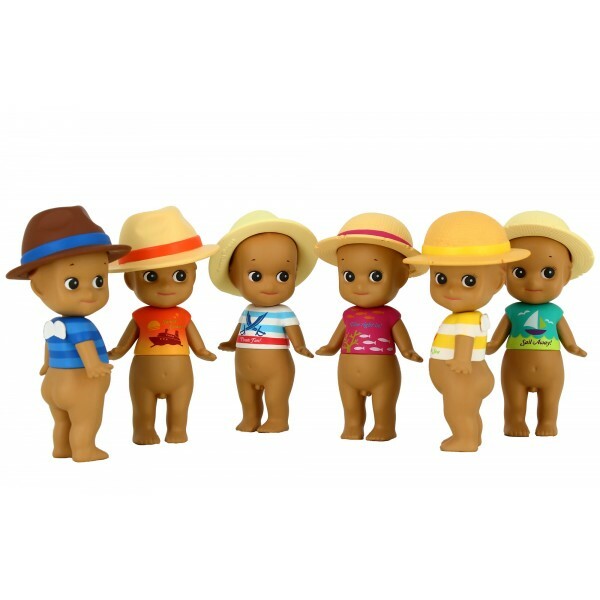 Each Sonny Angel comes with a cool panama hat or classic straw hat. These detailed, sophisticated chocolate designs have been crafted with extra attention and care! 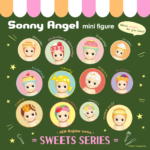 Enjoy the fruity and sweet world of Sonny Angel Chocolate series 2016! 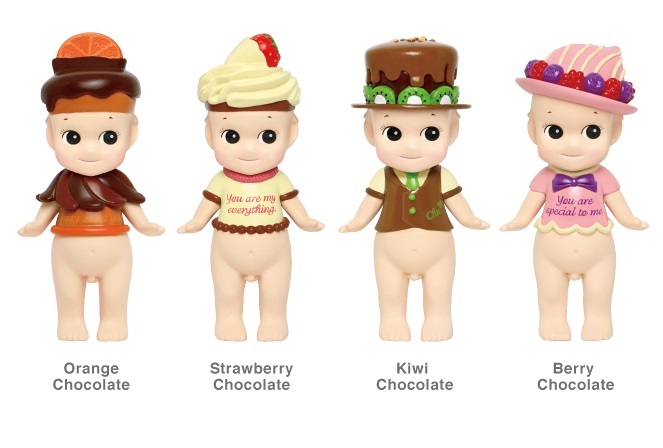 The 4 different designs are Strawberry Chocolate, Kiwi Chocolate, Berry Chocolate and Orange Chocolate. 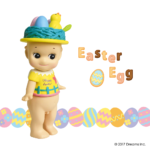 This Easter series is more colorful and festive than ever! 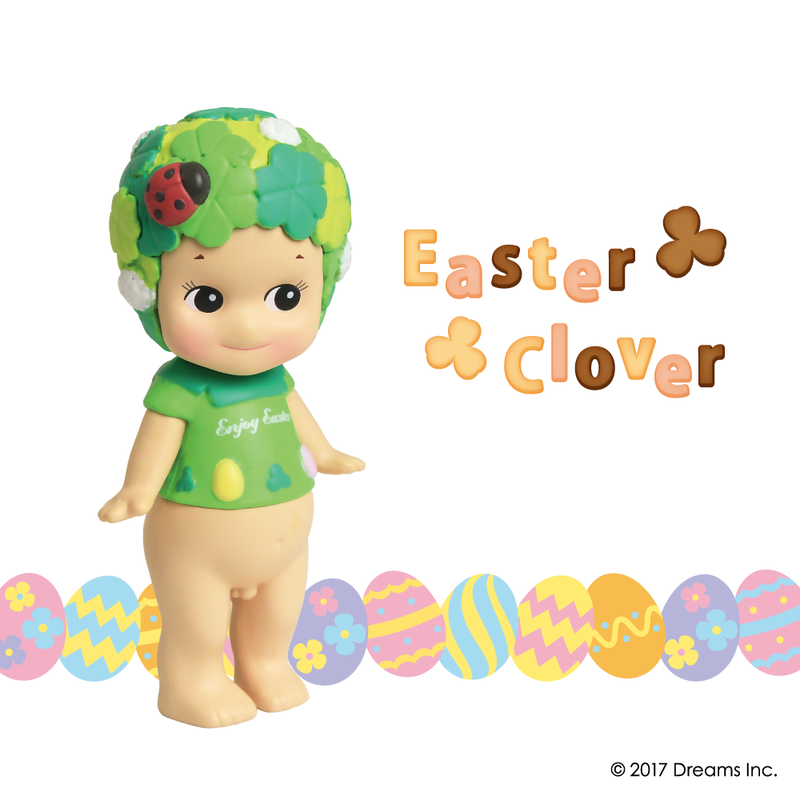 The 4 different designs are Easter Rabbit, Easter Egg, Easter Chick, and Easter Lily. Plus there are other secret angels to look out for! 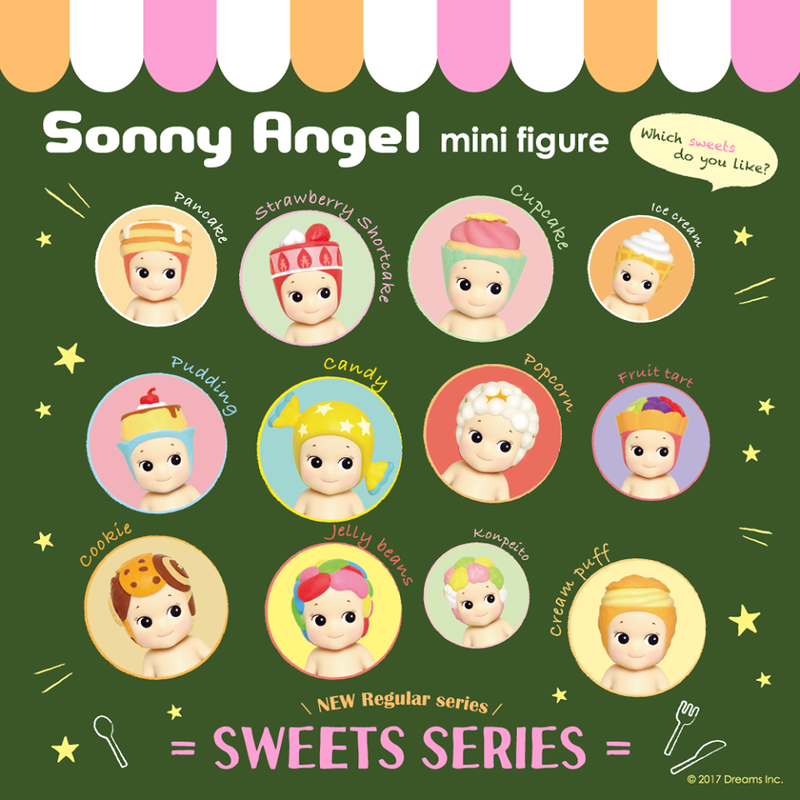 Sonny Angel 12th Anniversary Series! 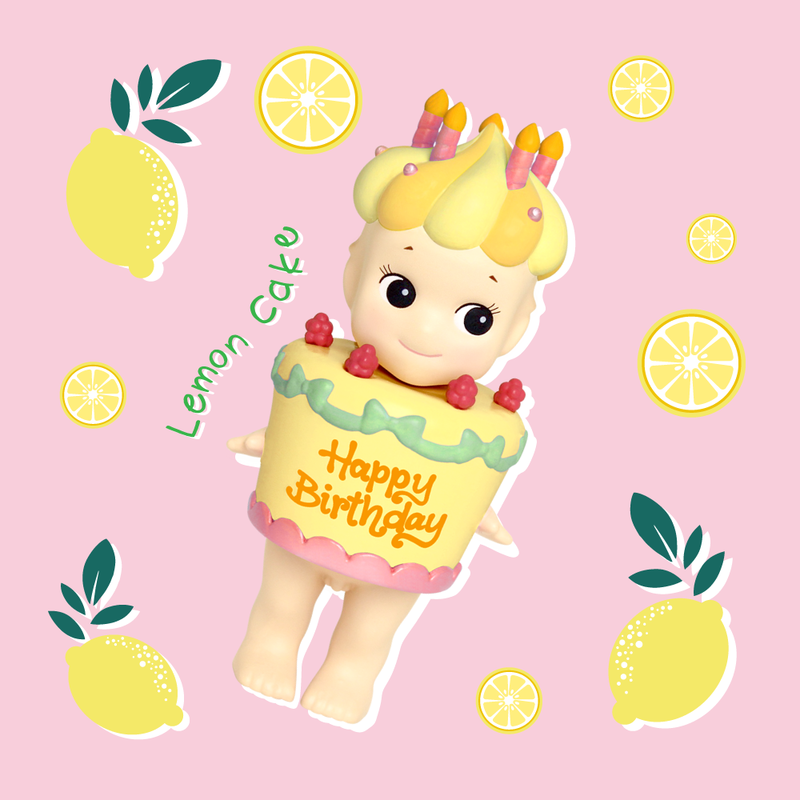 In this year Anniversary Series, the cute sitting Sonny Angels are in vibrant yellow with the aim to bring joy and happiness to you! 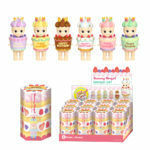 Line them up in your favorite place, and enjoy their cuteness! When put together, their T-shirts spell “JOYFUL DAYS 12th Anniversary 2016”! 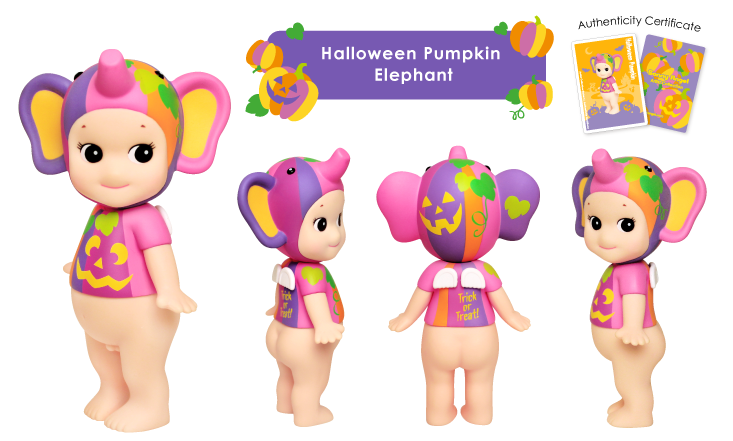 The 11th Artist Collection series come with Rabbit and Elephant in colorful pumpkin designs, with the messages “Happy Halloween!” and “Trick or Treat” printed on their backs. 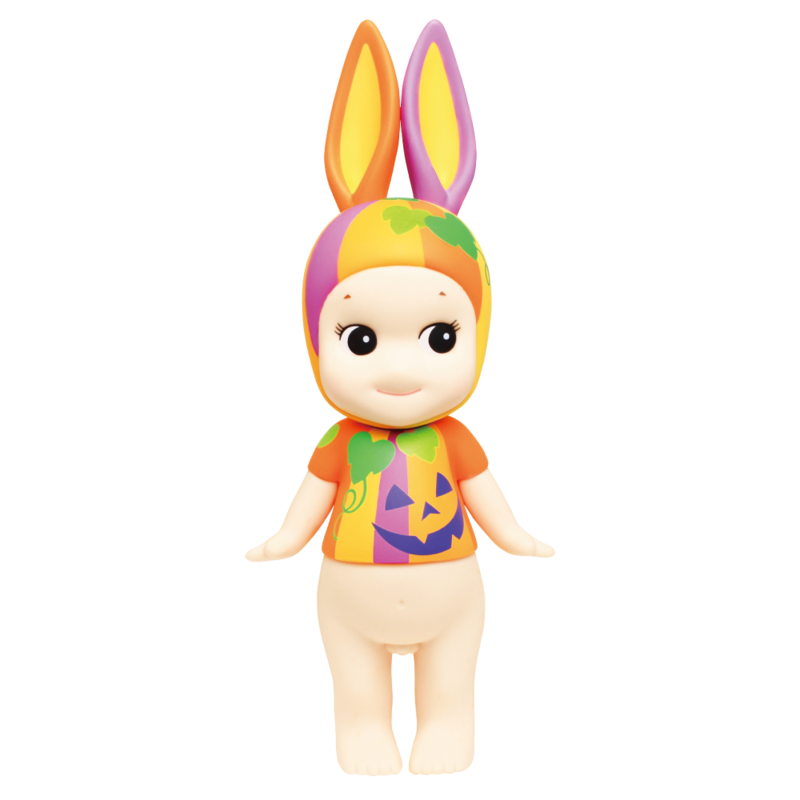 ※ Each figure comes with a matching official Authenticity Certificate Card. This time, The Artist Collection come in a more classical Japanese themed design,with Morning Glory flowers which are traditionally used to represent the summertime in Japan. “Nippon Asagao” means “Japanese Morning Glory” in Japanese. 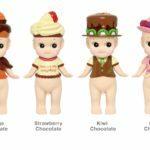 The dolls of the artist series are 1,6 times larger than the mini figures. Limited edition. 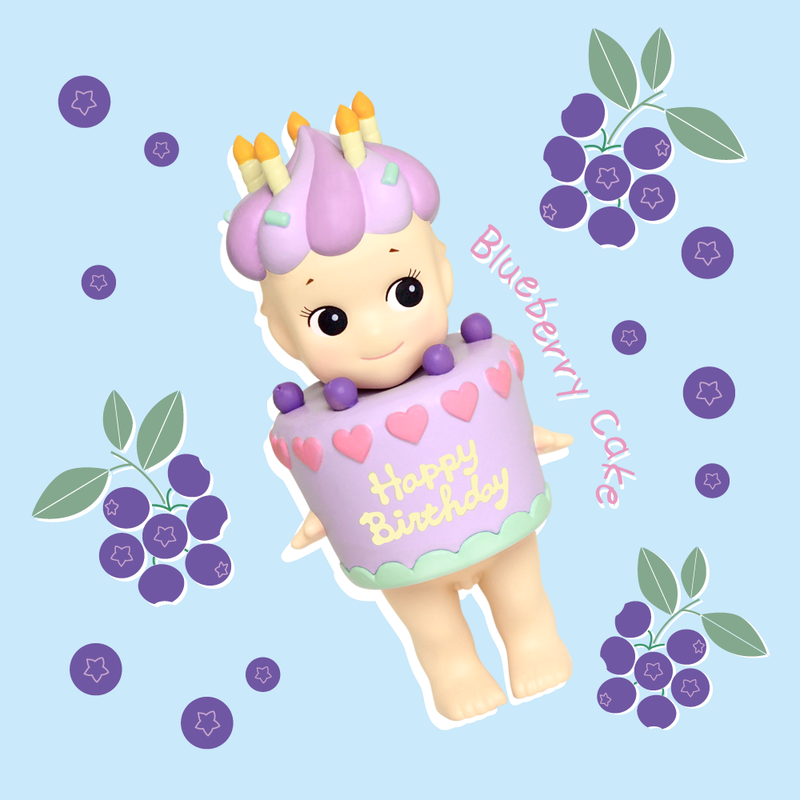 Each figure comes with an official Authenticity Certificate Card. 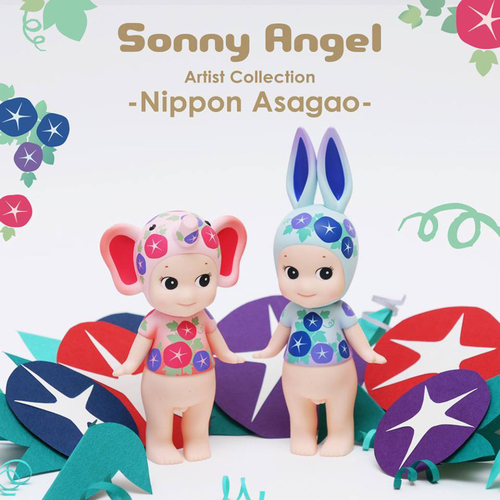 The 10th Sonny Angel Artist Collection series features the popular Rabbit along with Cockerel, the zodiac animal for 2017. 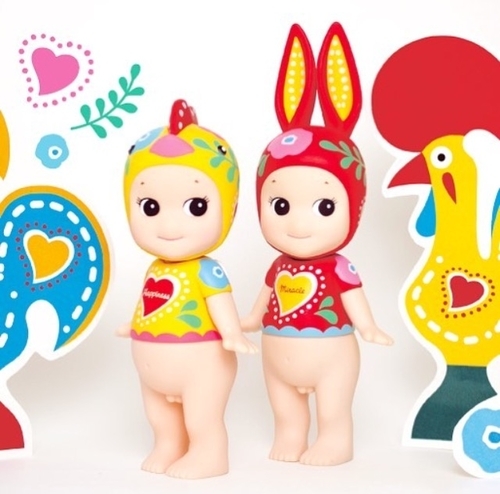 Design is inspired from “Galo de Barcelos”, a legendary Portuguese rooster that symbolizes good luck and happiness. 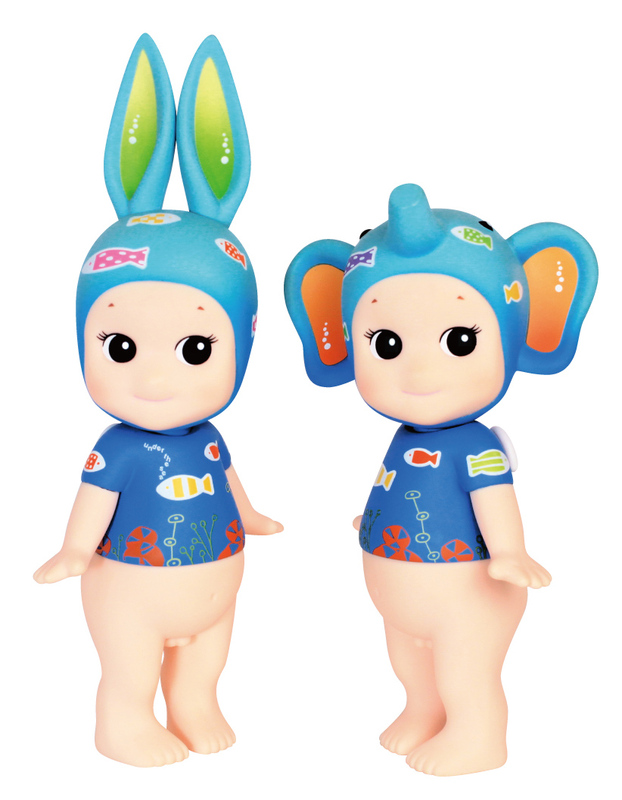 For the 6th Artist Collection, the Rabbit and Elephant are dressed up in marine themed clothing.